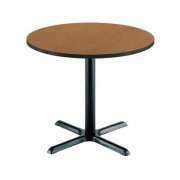 Purchase Cafe Tables & Bistro Tables: See Our Best Sellers! 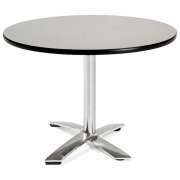 Turn any eating space into a classy bistro with an attractive cafe table from Hertz Furniture. 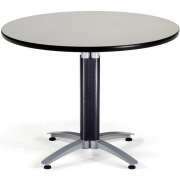 These tables lend an upscale look to any cafeteria or dining area. 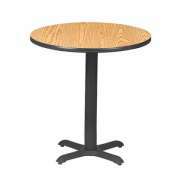 What kinds of cafe tables can you get? Hertz Furniture offers a great selection to suit a wide variety of tastes and budgets. Cafeteria tables don’t have to be large and boring. 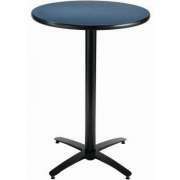 Our bistro tables come in many shapes, sizes, colors and styles. Choose from round, square, booth-style or counter-height to create the perfect look for your school or office dining area. Whether you prefer casual or classy, two-seaters or six, you'll find what you're looking for at Hertz Furniture. 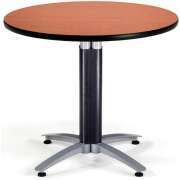 What are the best kind of tables for a cafeteria? 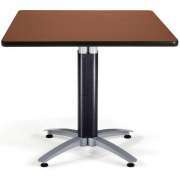 Although many lunchrooms have long cafeteria tables, cafe tables are a much more enticing choice. They will transform a regular cafeteria into an upscale dining area. This attractive option is great for student cafes and staff lounges. Intimate cafe tables offer a great spot for coffee breaks, small lunch meetings and study sessions. Their informal yet classy appeal will keep students, employees and clients comfortable. What is the best height for cafe tables? 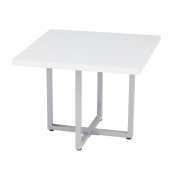 Our bistro tables come in both counter height and regular height. Tall tables offer the unique advantage of separating those seated around them from the hustle and bustle of a busy eating area. They look great with a few sleek bar stools and can really enhance an eating space. Standard-height tables are great because they will fit with an average-size chair so you don’t have to order special seating for them. What is the ideal shape for a cafe table? 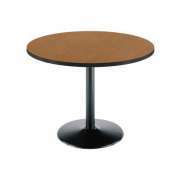 Tabletops are available in a selection of shapes and colors. 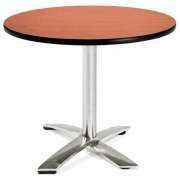 Round cafe tables create an intimate feel and enable everyone seated around them to see each other and converse easily. Square tables give each person a clear individual space. We have rectangular tables as well. All shapes come in a choice of surface finish colors and materials that can be coordinated with your decor. What makes bistro tables unique? 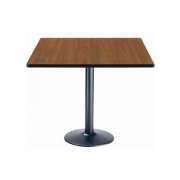 Cafe tables have a unique feature that sets them apart from other tables that are not specifically designated for this purpose. They are supported by one tough base column in the middle of the table to provide maximum legroom for people seated around them. 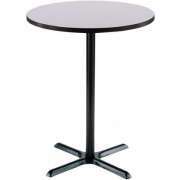 Rectangular bistro tables have two support columns which also offer this uniquely-comfortable advantage. Do you host a lot of fundraisers or theme nights? Is your eating area also used as a multipurpose room? Does your cleaning staff complain about the difficulties of reaching under tables to clean? OFM has the solution to all of your problems. Their flip-top cafe tables can be folded compactly via one-handed release. Bases feature a unique design that enables compact nesting when tops are flipped down. This convenient setup is perfect for institutions that need to keep tables in storage or clear them away frequently. How do you know what size bistro tables to get? 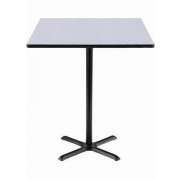 When purchasing bistro tables, you should consider what your ideal seating capacity is. If you want to encourage social interaction, a higher seating capacity is a good choice. If you prefer a more intimate feel, smaller tables are the way to go. Seating arrangements also impact the feel of your tables. Individual chairs are appropriate for both formal and informal settings while booth seating adds a fun and unique flair. At Hertz Furniture, we know how important it is to have a comfortable and appealing space to eat in. 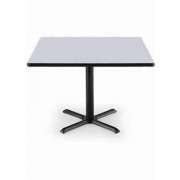 We offer great cafe tables and bistro tables that are sure to be a hit with your students, employees and clients. 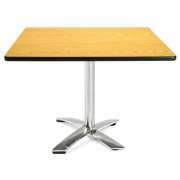 Our tables come from dependable manufacturers including Barsky Fleming and KFI. With so many great tables to choose from, it’s easy to get overwhelmed. If you need help deciding what your optimal shape, size, material and height are, don’t hesitate to call Hertz Project Solutions.